The word “Monster” is “Youkai” in Japanese. 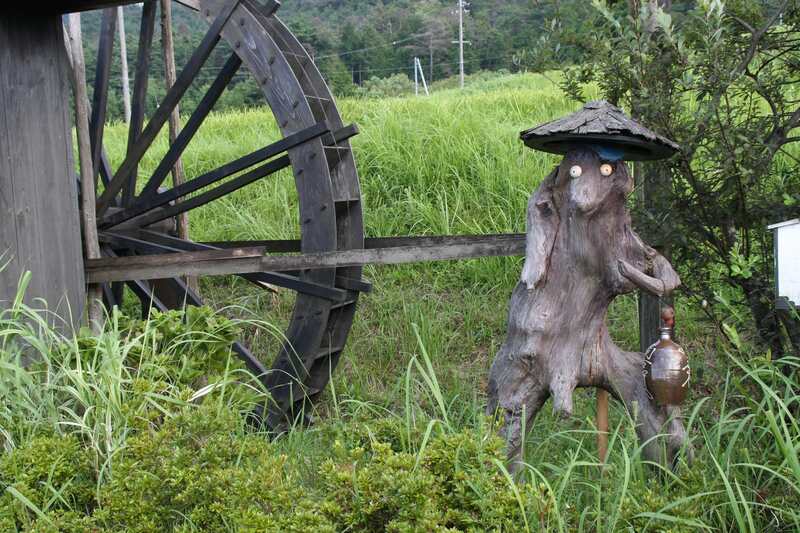 Although the word “Monster” usually has connotation of something evil, but there are many friendly monsters in Japan. People sometimes made temples that are dedicated to the supernatural monsters. In this article, we will introduce you to “Kappa (water imp)”, that is sometimes evil, but sometimes friendly with Japanese people. Kappa (water imp) is one of the traditional legendary Japanese monsters. There are many folktales about Kappa all over Japan and it’s also called differently like “Kawako”, “Kawaranbe”, “Game”, and so on. The figure is also different in each region. Some are drawn in the shape of turtle, and others are in otter. 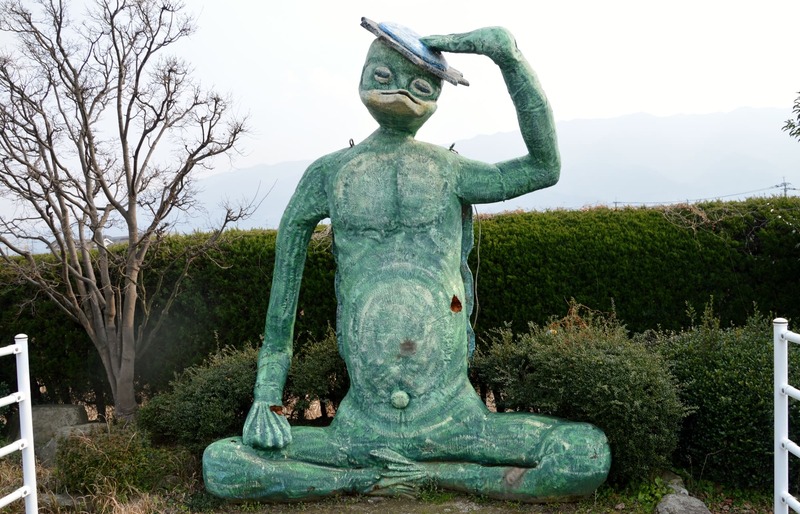 Kappa is probably the most famous monster in Japan. Although it’s a monster, Kappa is actually a God of water. There are some tradition that Kappa and the God of rice field take turns promising the abundant harvest each spring and autumn. Because the favorite food of Kappa is cucumber, a sushi that comes with rice and cucumber is called “Kappa-maki roll”. The reason why Kappa loves cucumber is that cucumber is a figure of kappa in needy circumstance. And also cucumber is essential for the faith of the Got of water as one of the offerings. Sougenji-temple was built in 1588. It was once burned down for the big fire in 1657, and after that it was moved to Taito-ku, Tokyo-to. Because the land drains badly and people would be suffered from flood, a merchant “Kappa Yakihachi” gave his fortune and started excavation work in Niibori River (close to current kappa-bashi-dougu-gai street, one of the origin of the name of “Kappa-bashi”). It’s said that a Kappa who lived in the neighboring Sumida River helped people with excavating the land. In 1814 Yakihachi died and people started calling his family temple Sougenji as “Kappa-dera Temple”. After that people began saying the Kappa brought fortune to those who saw the Kappa, and people decided to dedicate the temple to Kappa and called the Kappa “Kappa-Daimyoujun”. It is said that Kappa brings prosperity on your business. “Oni”, “Kappa” and “Tengu” are the 3 most famous monsters in Japan, but there is another classification called “3 most evil monsters” based on Japanese old tradition. In old Japan, people are afraid of 3 monsters; “Shutendoji”, “Tamamonomae” and “Otakemaru”. “Shutendoji” is a leader of Oni (Japanese ogre) who loves drinking. “Tamamonomae” is a monster that a fox takes the form of a woman. “Otakemaru” has a spiritual power of covering the sky with crowd and makes storm, thunder and even sparks. Those monsters have each legend written on biographies or picture scrolls. 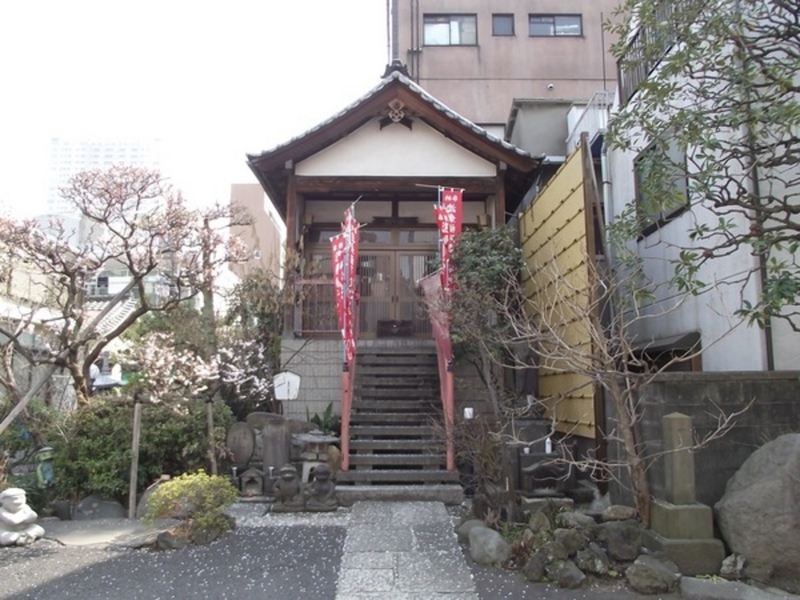 There is a recommended tour for those who want to experience Japanese ghost stories more. 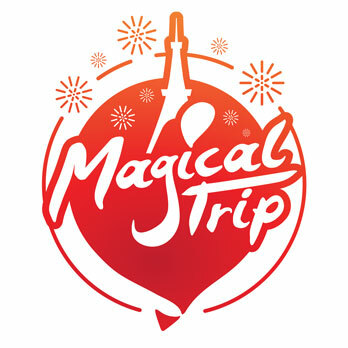 Let’s participate in “Ghost Story Tour in Asakusa, Where Myth Remains”. The guide will introduce you to famous haunted house. He will also talk you a ghost story at the very place where the story is set in. The experience must be hair-raising! Enjoy horrific Asakusa more with this tour!